Sri Lanka Tourism participated at the 44th edition of the largest B2C travel fair in the French Market, Salon Mondial du Tourisme in Paris, France, which was held at Parc des Exposition, Porte De Versailles from 14th – 17th March 2019. Salon Mondial du Tourisme is the largest consumer travel show held in France with the participation of various tourism stakeholders from around the world. The show offers dual exposure to all participating countries through co-hosting Salon Destination Nature (Nature fair) on nature and eco-tourism products taking place parallel to SMT fair in the same venue. 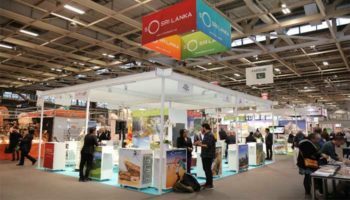 The visitors attending Salon Destination Nature spilled over to Sri Lanka stand as the country had many natural attractions to travel to and for the purpose of discovering eco -tourism products and services available in the country. The main exhibit sectors of the trade show Salon Mondial du Tourisme are foreign tourism offices, tour operators, travel agencies, French national, regional and departmental tourism offices, reception, accommodation, thalassa therapy, airlines, car rental, railway, cruise lines, business tourism, new technologies, leisure, training, information and services, associations – press. The show covers wide scope of tourism products and service sectors with high active presence during the exhibition. Sri Lanka’s Ambassador in France Mr. Buddhi Athauda, Ms. Audrey Quentin, show director of SMT, Ms. Sarangi Thilakasena, Assistant Director of Sri Lanka Tourism Promotion Bureau, Ms. Chandima Abeyrathne, First Secretary -Commerce and other distinguished guests officially opened the Sri Lanka Stand at SMT travel fair along with travel trade representatives participated at the exhibition. Addressing the audience, Mr. Buddhi Athauda remarked that the Sri Lanka has clearly made its mark in the world tourism map being nominated as the world’s best destination to travel by Lonely Planet. The popularity of Sri Lanka among French consumers is constantly growing because of it. Last year Sri Lanka was able to attract over 106,000 French travelers with 10% market growth. This highlights the great potential lying ahead of us to attract more and more French travelers to the country. Travel shows of this nature will expose us to understand our consumers, their travel patterns, travel preferences, various expectations in travelling and moreover the opportunity to have one to one dialogue with them. 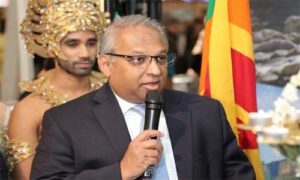 He further added that Sri Lanka’s presence in Salon Mondial du Tourisme position the destination to be highly competitive amongst Asian countries such as Thailand, Malaysia, Male, India, Indonesia etc. 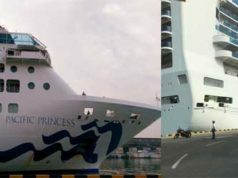 who have been regular attendees of this travel show from the inception. Reputed Sri Lankan Travel Agents and hoteliers active in the French market such as Zenith Expeditions, Back Pool Hotels, Yathra Travels, Ayubowan Tours, Travel Talk Asia, Kanwel Holidays, Crystal Holidays, Reef Villa, Club Waskaduwa Hotel, Travel Trends Leisure, Shanthi Travels, Deluxe holidays, Hawk Travels participated at this year’s show. 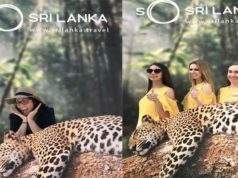 Sri Lanka stand was able to attract a very high level of enthusiasm from the show attendees with the attractive product segments to offer to the travellers. Sri Desi dance troupe from Paris added color and vibrancy with traditional dance performances at the Sri Lanka stand being the cynosure of the show. Ceylon Tea Boutique served freshly brewed Ceylon Tea for the travel show participants throughout the fair promoting the Ceylon tea brand. 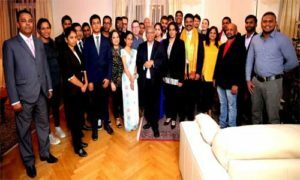 Sri Lanka Tourism Counter handled large number of inquiries with the inflow of potential travellers ready to visit Sri Lankan in the near future and views suggestions were received by many travellers who wanted to repeat their visit to the country as well. A consumer survey was conducted among the visitors to the stand through a structured questionnaire. The findings of the survey revealed that most travellers from France to Sri Lanka were seniors between the age ranges of 40-60 years. 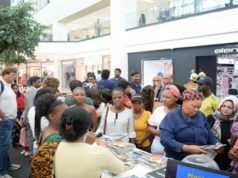 Other segments identified were young travellers, family travellers and women travellers. The areas of particular interest were the cultural triangle and the North and East coast and Kandy city of Sri Lanka. Two high-level project proposals were initiated and actioned on at the sidelines of SMT fair. Sri Lanka Tourism representative and Ambassador of France had a detailed discussion with the Qatar Airways Country manager (France & Benelux) Ms. Morena Bronzetti, seeking collaboration for conducting the upcoming World Armature Golf Tournament of 2019 in Sri Lanka. The event has been initiated by a leading travel agent Crystal Holidays and it is expected that around 400 high-profile golfers from France and Spain will attend the event held in Sri Lanka for the first time. The event will position Sri Lanka as an alternate destination for Golfers, especially during winter season in the Europe. Moreover, it will expose the destination’s capacity and quality of golf courses to the high-level Golf players in Europe who will take part at the event. Another key meeting held during the SMT was the meeting had with France’s largest and the most influential media Le Figaro Group. Le Figaro is renowned as the top media house in France and with wide variety of media publications, online and television based full-service group. Sri Lankan representatives met with Ms. Eileen LE MUET at the famous Figro building and had a detailed discussion and presentation on the possibility of carrying out publicity for Sri Lanka in their prestigious publications and online media. 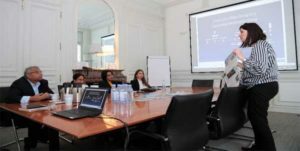 It was proposed to do a comprehensive destination piece on Le Figaro Magazine and in extension to target Madame Figaro and their respective digital and social media channels for this promotion. The 44th edition of SMT welcomed the overall 610 exhibitors and 114 200 visitors in total this year. The distribution of visitors per day is changing compared to last year. More than 91% of visitors had planned trip in visiting the exhibition and 80% of visitors attending the travel fair go on a holiday as per the research. 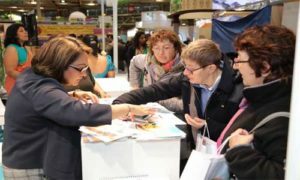 Out of the total visitors 43% have more than 3000 Euros as their holiday budget making Salon Mondial du Tourisme travel fair one of the high potential avenues to promote destination Sri Lanka to the avid French travellers.